Western Canadian Select recently crested above US$55 per barrel after trading for just $10.29 in late November. The discount to West Texas Intermediate has narrowed dramatically as the U.S. benchmark climbs towards $65. Most Canadian energy stocks have rallied as a result. The iShares S&P/TSX Capped Energy Index ETF (XEG.TO) has climbed more than 27 per cent since a recent low on Christmas Eve. Suncor Energy Inc. (SU.TO), Encana Corp. (ECA.TO) and Enbridge Inc. (ENB.TO) have gained between 17 and 25 per cent year-to-date. The strong performance has not resonated with investors. 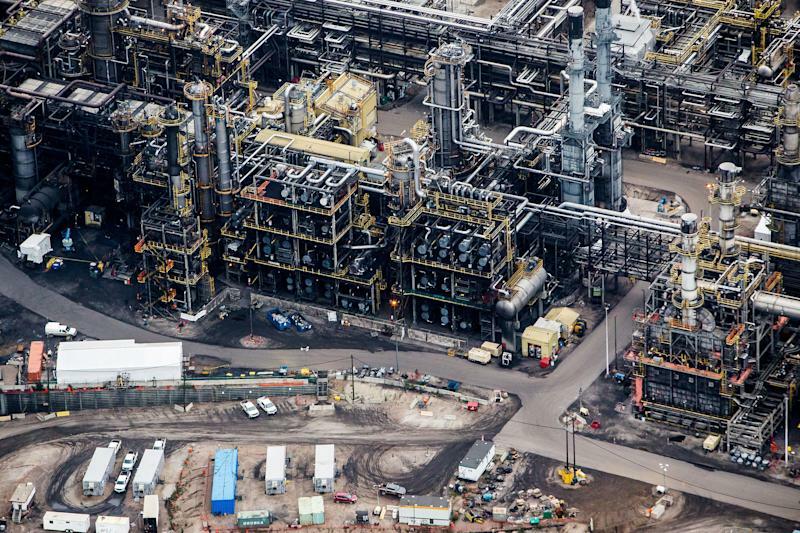 Greg Taylor, chief investment officer at Purpose Investments, said enthusiasm around Canada’s energy sector is about as low as it’s ever been. Perennial problems persist. Like the lack of takeaway capacity in Western Canada. Crude-by-rail shipments staged a minor recovery in March, according to Genscape. However, the U.S. company found the amount of oil in storage is comparable to December, when the Alberta government announced its production cut. Meanwhile, Chevron Corp.’s (CVX) US$33-billion blockbuster acquisition of Anadarko Petroleum Corp. (APC) last week reinforced the rising value of American shale production. That said, Taylor sees a lot of the “big negatives” in Canada dissipating, and expects strong results in the coming quarters. He’s watching Cenovus Energy Inc. (CVE.TO) and Whitecap Resources Inc. (WCP.TO). Bushell said Canadian Natural Resources Ltd. (CNQ.TO), as well as smaller players such as MEG Energy Corp. (MEG.TO), Baytex Energy Corp. (BTE.TO), and Crescent Point Energy Corp. (CPG.TO), have significant room to run. “I think there are huge gains to be had. But the sentiment is so poor, especially for the Canadian-listed mid-cap stocks, that it’s hard to tell if that will happen or not,” he said. Bushell owns large positions in Enbridge, TransCanada Corp. (TRP.TO), and Pembina Pipeline Corp., (PPL.TO) based on the companies existing infrastructure. He said a new pipeline project would be a gamechanger, but pegs the odds of a greenlight at less than 50 per cent at this point. Taylor said any sliver of good news for the energy patch will be a powerful catalyst to move the sector in-line with improving oil prices. “People just need to see some light at the end of the tunnel. The doom and gloom just became so much that it felt like there was nothing going right for the group for so long,” he said, emphasizing that earnings have remained strong. Both agree that Canadian energy players who have proved resilient through the worst of 2018 will soon be a bright spot for investors as commodity strength and cost cutting flow through to balance sheets. They say it’s a matter of refocusing the market’s attention. Reflecting on the oil executive, whom he declined to name, comparing the industry’s reputation to big tobacco, Bushell said it speaks to a sense of hypocrisy around investment in fossil fuels today. “I think the sentiment over the last five years has really shifted. To be viewed as an industry that is killing people when everybody likes to fly around the world and go on trips and cruises,” he said.